Why cannot play DVD on your PC computer? How to solve "DVD not playing on PC" problem? Get all answers below. "DVD will not play on PC" arises quite frequently. Insert a DVD into the DVD-ROM, and wait for DVD loading and playing in anticipation. However, to your disappointment, your PC seems unable to play the DVD for you. How could this happen? How to get it fixed? As a matter of fact, the solutions vary with the causes. You are not the first person to encounter this issue, and will not be the last one. And you are lucky to find this article which will explain why PC can't play DVD in details and help you play self-burned DVDs and purchased commercial DVDs on Windows PC. 5KPlayer – A clean, powerful and free DVD player capable of playing home-made DVDs and region locked and copy-protected commercial DVDs on Windows 10, 8.1, 8, 7, XP, etc. And it is a good replacement for Windows Media Center. 100% clean and safe. Why Can't Play DVD on PC? How to Solve It? PC computer will not play DVD for a variety of reasons. And here, we will list the most common causes and the corresponding solutions to have a try. 1. PC can't play DVD because DVD drive is disabled. If you find a DVD will not play on PC, please check if your DVD-ROM drive is enabled. 2. Your PC DVD-ROM drive doesn't support the type of DVD. Some DVD-ROM drives can read both DVD+R and DVD-R discs. However, some DVD-ROM drives can only read one of them. If you burn a DVD with a type of recordable DVD that the DVD-ROM drive does not support, the DVD will not play on your PC. 3. DVD doesn't play on PC because display screen resolution doesn't match with the DVD. If this is the case, you need to change your PC screen resolution to be compatible with the DVD you want to play: Start -> Control Panel -> Appearance and Personalization -> Adjust screen resolution. You may need to change your display resolution to 640x480 or 720x480. Generally speaking, the majority PC DVD players can only play DVDs that are encoded for the same region where the PC was sold. Region 1 DVD players can only play region 1 DVD discs. To put it simply, if you purchase a DVD in one country and you are unlikely to play it on a PC from a different country. If DVD won't play back on PC issue really results from DVD region code, we can only set the DVD aside and do not expect to watch the DVD video? Actually not. You can turn to third-party software to handle it. Solution 1. Apply a region-free DVD player like 5KPlayer to play DVDs from all regions on Windows PC. 5KPlayer is professional DVD player software. Apart from playing home-made DVDs, it can also play DVDs with region code 1/2/3/4/5/6. With this tool, you will never meet "DVD will not play on PC owning to unsupported region code". Moreover, it is able to play DVDs encrypted by copy protection schemes like CSS, RCE, Sony ArccOS, UOPs, Disney X-project DRM, etc. In addition to support previous Windows OS like Windows 7, 8, 8.1, 5KPlayer is also workable on Windows 10, acting as a Windows Media Center alternative for DVD playback. And the Deinterlacing feature helps convert interlaced scanning DVD movie to progressive scanning and thus delivers high video quality. Meanwhile, it can play ISO image file and DVD folder. 5KPlayer bonus features: free download videos/songs from 300+ online video sites; play videos audios in any file format; convert videos to MP3, AAC, MP4; stream videos audios for iPhone, iPad, Apple TV; play radios in BBC, Heart, Capital, etc. Solution 2. DVD to digital - Rip DVD with a different region code as digital files in MP4, AVI or other PC playable formats using a powerful fast DVD ripper. Here, let's take WinX DVD Ripper as an example. This tool is a famous DVD ripper which supports for ripping DVDs locked by all region codes and copy protection schemes to MP4, AVI, WMV, FLV, 3GP, MOV and more at a lightning speed. After converting DVDs to digital videos, you can play DVD videos on PC even without DVD players. This is another popular workaround to fix "DVD will not play on PC due to incompatible region code" issue. And don't worry this action will lower the video audio quality. Thanks to the High Quality Engine, it can output videos reserving the original video audio quality. And with the help of "Yadif Double Frames" De-interlacing Engine, you can change the DVD interlaced scanning mode to progressive scan to enhance the output video effect. Additional visible features: 1:1 clone DVD to ISO file/DVD folder; copy DVD main/full title content as MPEG2 file; convert DVD to iPhone, iPad, Android, Windows device and more; extract DVD audio. [Solved] DVD Won't Play on Windows 10? How to Fix? Are you experiencing 'DVD won't play on Windows 10' error? Don't worry! Here we will list troubleshooting tips helping you play DVDs on Windows 10 (for free) with no hassle at all. 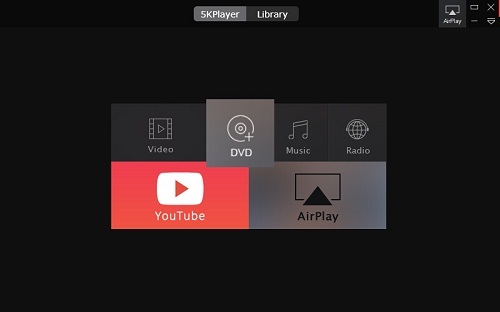 Are you experiencing 'Mac won't play DVD' problem on macOS Mojave/High Sierra? This article can give you the most helpful solutions of DVD not playing on MacBook Pro/Air/iMac/iMac Pro etc, leading you to play DVDs on Mac without hassle. Part 1Why Can't Play DVD on PC? How to Solve It? Part 2Which Player Can Play DVDs from All Regions on Windows PC? Part 3Which Tool Can Rip Region-locked DVD as Digital Files?